A former member of the Obama administration claims Washington D.C. often uses “misleading” news releases about climate data to influence public opinion. Former Energy Department Undersecretary Steven Koonin told The Wall Street Journal Monday that bureaucrats within former President Barack Obama’s administration spun scientific data to manipulate public opinion. “What you saw coming out of the press releases about climate data, climate analysis, was, I’d say, misleading, sometimes just wrong,” Koonin said, referring to elements within the Obama administration he said were responsible for manipulating climate data. He pointed to a National Climate Assessment in 2014 showing hurricane activity has increased from 1980 as an illustration of how federal agencies fudged climate data. Koonin said the NCA’s assessment was technically incorrect. I almost called this yesterday, but I needed more data to be sure. 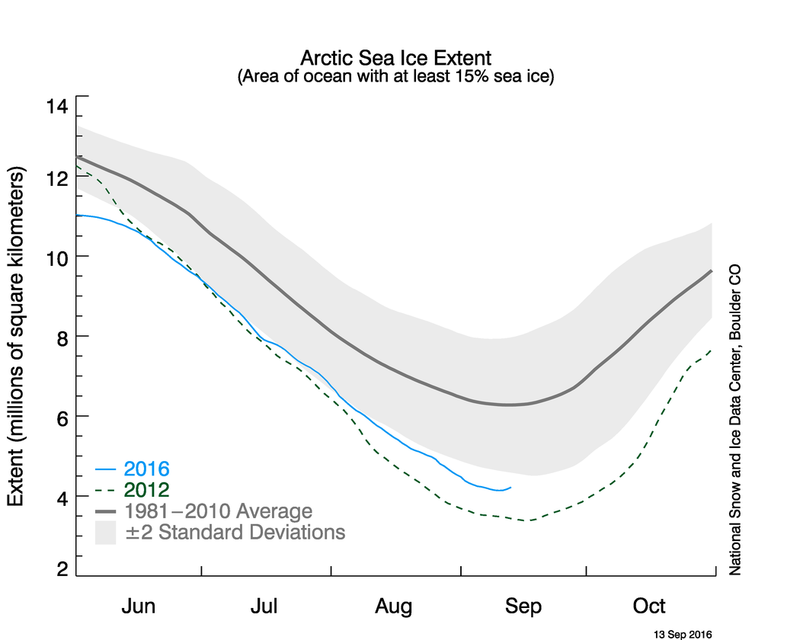 All of the data I’ve looked at agrees, Arctic sea ice is now on the upswing, and in a big way. And the physics of ice is also a dead giveaway. 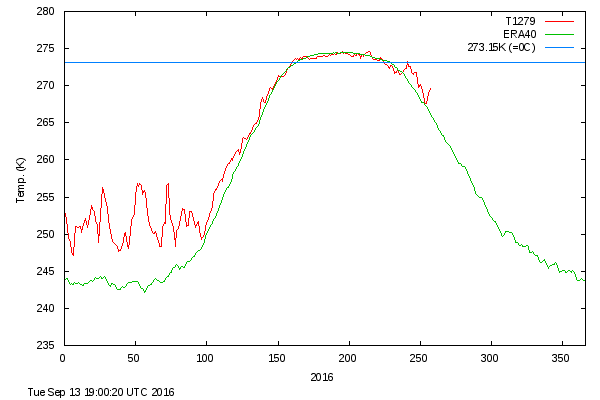 Here, the Arctic temperature shows a dramatic upswing. This is why: when water freezes it releases its specific latent heat. The specific latent heat is the amount of energy required to convert 1 kg (or 1 lb) of a substance from solid to liquid (or vice-versa) without a change in the temperature of the surroundings — all absorbed energy goes into the phase change — is known as the specific latent heat of fusion. For water, that’s about 334 KiloJoules of energy per kilogram. 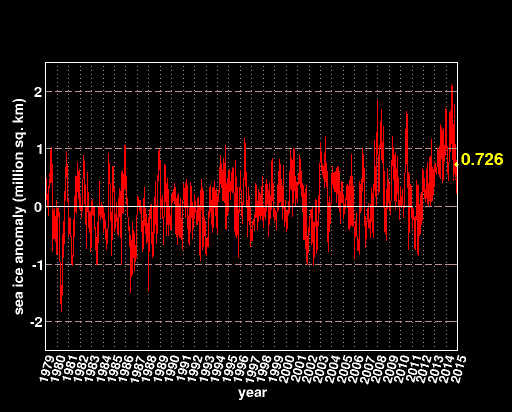 It has been obvious since about April that government agencies had been instructed to make 2014 the hottest year ever. But this headline in the Washington Post summed up the fraud in spectacular fashion. 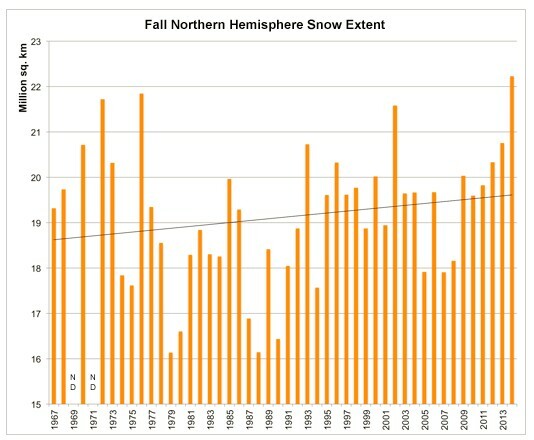 The record snow extent this autumn was due to record intrusions of cold air to low latitudes in North America and Asia. Obviously not compatible with record heat. But it gets must worse. 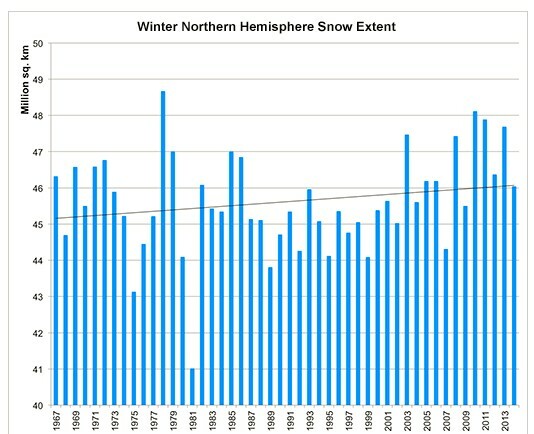 Last winter also had well above average snow cover. 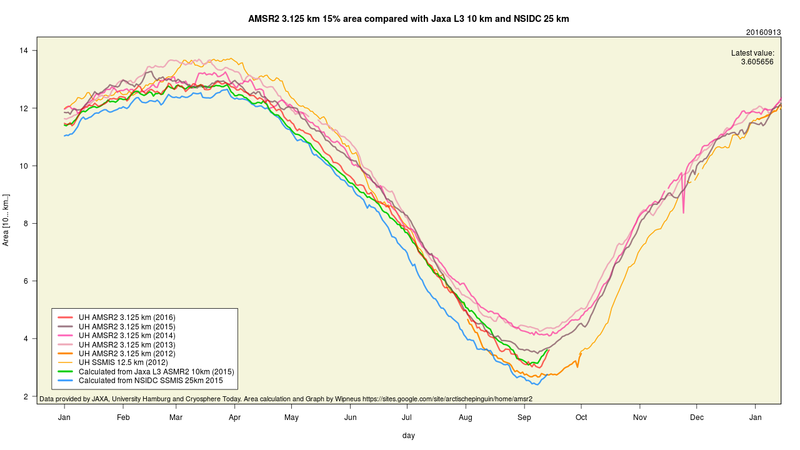 Antarctica had record sea ice cover this year. 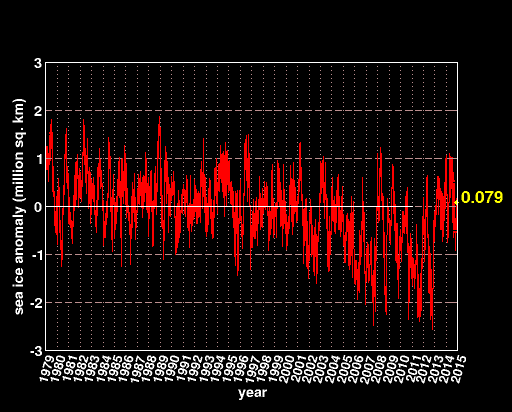 The amount of sea ice on Earth is above normal. 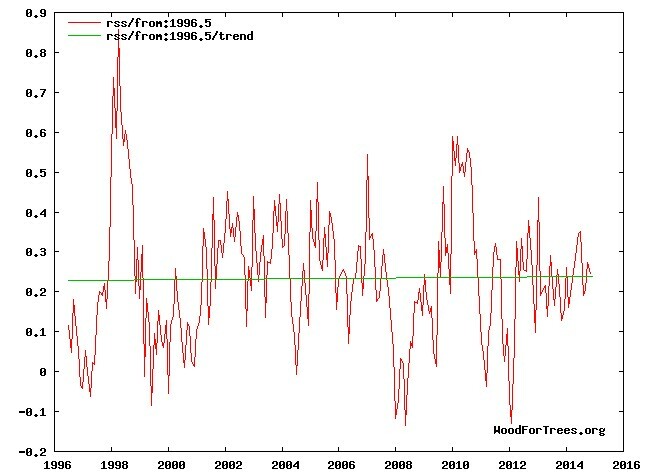 Satellite temperatures are far more accurate than surface temperatures, and they show that temperatures are not warming, and are nowhere near a record. 2014 is nowhere near the hottest year ever, but NCDC is claiming it is because the White House agenda requires some fake data. 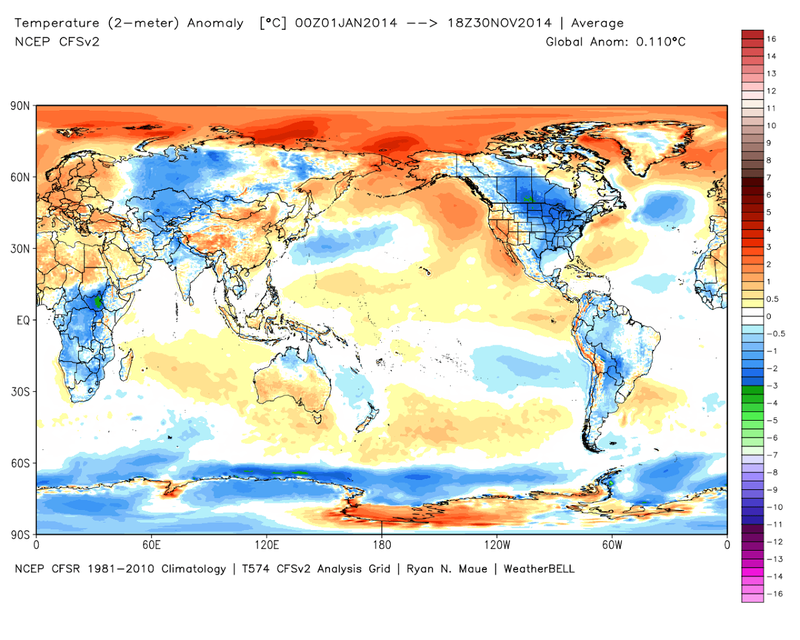 Most of the land surface is below normal temperature this year. 2014 is an average year at the end of an 18 year plateau. NCDC is releasing fake climate data for White House political purposes. Obama knows that he can get a “deal” by simply selling out the United States. He also knows that the Republicans in Congress are too lazy and confused to stop him.